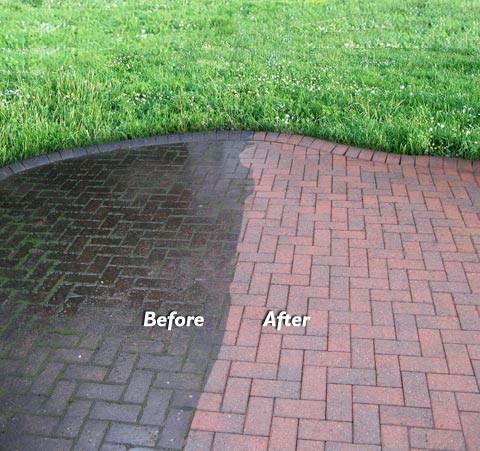 Many property owners ignore it, some take it as part of greening your yard. But, few are aware or know that any type of household mold can create serious health risks to you and your family. It is so serious that it warrants immediate action any time you see mold growing on the surface of concrete. The best way to eliminate mold is through preventing it in the first place. Mold spores can cause many types of health risks, especially to those susceptible to allergies and respiratory problems (such as asthma), and they can cause inflammatory rashes, headaches, and other flu-like symptoms. If anyone in the house is experiencing these symptoms it may be an indicator of mold. So have your house professionally inspected because mold can be deceiving: you don’t have to see it for it to exist. Though a lot of mold is obvious (dark black splotches, rotting grey areas), a lot of it is invisible and hides in hard to see areas. 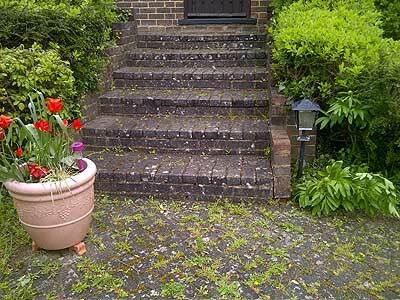 In your pavement, it can be slippery when wet, thus causing preventable injuries. This is more critical for the elderly and infirm. So, it is important to have it checked and treated at least once a year. Just as you treat your car to a valet, your house needs it too! Mold is often caused by excess condensation or sitting water, and often occurs after flooding or leakage. The first step in home mold inspection & remediation is to identify and fix any leaks and remove any standing water. Also, you may want to seal your concrete by using special products that are out on the market. To prevent condensation that may form, add extra insulation to an area and create plenty of circulation in dark, dank areas (basements and garages) by utilizing fans, dehumidifiers, or other ventilation systems to avoid moisture build-up. Basements commonly generate concrete mold, so it may be best not to carpet these areas since mold can easily enter and stay in the fibers. To prevent flooding make sure all piping and gutter systems are properly working so water is always diverted away from the house. It may be a good idea to put a plastic cover over crawlspaces and windows leading to a basement as to prevent any ground-level water from coming in. Also, avoid storing papers, clothing, or other forms of “mold fodder” in these danker areas.